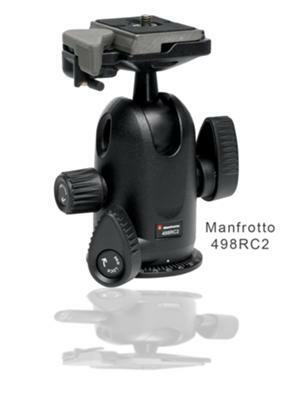 I vote for the Manfrotto 498RC2 to be considered as one of the best tripod heads. It is much less expensive than the Arca Swiss models and is a great value for around $100. The 498RC2 weighs about a pound and a third (.61 kg) and can support over 17 lbs (8 kg). It has a working height of 12.5 inches. It has a single re-positionable locking lever for 360 degree rotation and 90 degree tilt movements. Precise positioning is managed by a single knob for friction control. It has a quick release-safety system so that your camera will not detach accidentally. It is simply a great value for the quality of materials and performance. I researched and read many tripod reviews. This Manfrotto 498RC2 will handle all your needs unless you are shooting with a full-sized DSLR and a 400mm lens or larger. Then you might want to step up a to an Arca Swiss. It got an average score of 4.7 out of 5.0 based on 200 reviews at the leading online photography retailer. That is an extremely high rating for 200 customers. Only 6 people out of the 200 who reviewed this tripod head gave it less than a four star rating. Out of 49 reviewers who bought this tripod head on Amazon, only two had a rating of 3 on a scale of 5. There were no 1 or 2 star ratings at all. The most common comments were about its ease of use, solid feel, the perception that quality was high, price was reasonable and its stability in holding cameras. That is why the Manfrotto 489RC2 gets a plug as the best tripod head. I bought one of these tripod ball heads about 2 weeks ago. So far so good. I haven't used it for nature photos yet but will more in the next couple of months. Join in and write your own page! It's easy to do. How? Simply click here to return to Best Tripod Heads.